Team work is required for any organisation to work and progress. If a team works efficiently then the organisation achieves its targets but if the team lags in its work then it is a high time to indulge your team in some team building activities. You can boost your morale if you spend an entire day out of the office going on an adventure or relaxing with your colleagues. The employees get bored and exhausted by the monotonous life and the daily routine. A little break from the everyday life removes all the stress of the work and gets you recharged to work with a new energy. In any corporate team, its members must be well connected and share a healthy relation so that the team functions smoothly. Any interpersonal problem can cause the whole team to suffer and so it is necessary to flush out all the personal grudges. Team building activities done along with other co-workers can assist in improving the interpersonal relation within them. It is generally observed that people who normally don’t interact in office start talking when they are put into groups during team building activities. This facilitates as ice breaker and will get beneficial for the company. Also you never know with who will you work with in future. So it’s good to be to be connected with everyone in the company. And if you are a manager then you can seek good networking opportunities during such activities. As a result of increased morale and better interpersonal connections you will observe an improvement in productivity of the employees. Also due to better communication people will become more approachable and thus everyone’s skill set may come into each other’s use while working on anything. This will thus reflect in the output given by the employees. Team building activities also focus on building the hierarchy in the team. During these activities the roles of every employ gets clear and so a better flow of information and command is observed. This gets efficient for the company as there is less wastage of resources and time while working. No one wants to work in a sad and gloomy environment. It affects the productivity of the employees and thus affects the company adversely. A good team building activity is full of fun and excitement. Also it is seen that because improved interpersonal relation amongst the employees and their boosted morale, the office environment also gets light and happy. Thus it is recommended that employees must be taken for such activities at least twice or thrice in a year. A leader is very essential for a team to work successfully and smoothly. Without a leader the team has no direction as there is no one to tell what is to be done and how it is to be done. All leaders are not efficient. During the team building activities, the capability of the leader is tested. It may also happen that the current leader fails to get the team out of a given situation and some other employee may find a way around it. In such situations the team may get a new leader to look up to who has better capability to lead the team. Which company doesn’t have complex situations arising? But many times the employees may just laze around the situation without taking any action about it unless it doesn’t become a serious situation. Many times it may also happen that the leader won’t be around and so the team may not be able to deal with it. So it is necessary for the employees to have the problem solving skills up their sleeves to deal with such situations. Involvement of team in team building activities will enable them to use their own analytical mind to find a way around the given problem. Thus in such way the problem solving skill set of the team members can be enhanced to make the team more efficient one. Team building activities are made by experts who judge the efficiency of the team by which it completes a given task. They even check how the manner in which the leader of the team guides the team through the task, how efficiently does each member do the given work and entire functioning of the team as whole. These experts who notice the short comings in the team then show them their mistakes and their scope of improvement. They also get to talk about the efficiency of the individual members and their leader of the team as well. Team building activities are not boring lectures given in air conditioned classrooms. They are fun activities that are full of excitement and thrill. They are conducted in open spaces where you have to get indulged in sporty activity or an adventure along with your team. Blind fold driving, going around electric triangles, going on swing bridges are some of the team building activities. These activities are exciting and fun and who doesn’t enjoy playing games?? 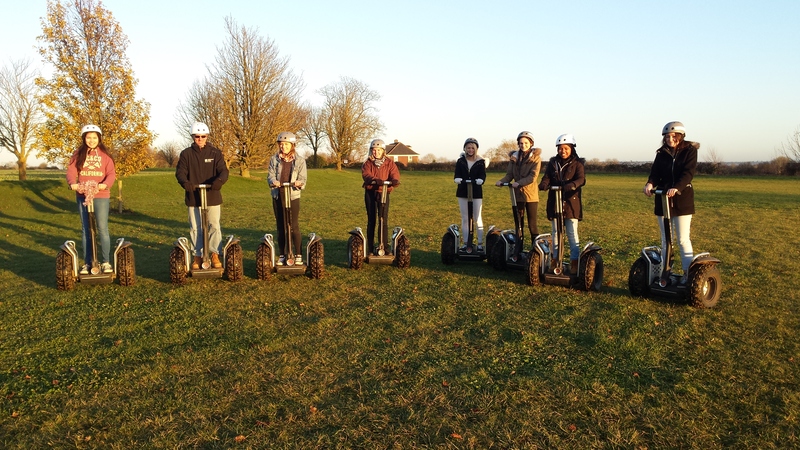 You can always have your special corporate days out in Cambridgeshire, Northamptonshire, and Leicestershire or in any place across UK where you get many such adventure clubs which provide you with fun games for team building. Next PostWhat Are the Benefits of Custom T-Shirts for Business Promotions? Thinking of Organising a Corporate Team Building Day?